24th Bn. Australian Infantry, A. I. F.
31st August 1918, aged 24. Son of Donald A. Armstrong, of "Rubra," 60, Mont Albert Rd., Surrey Hills, Victoria, Australia, and the late Miriam A. Armstrong. Born at North Carlton, Victoria. ​His headstone bears the inscription; "In Memory Of My Son." A teacher prior to enlisting, he embarked from Melbourne aboard HMAT Hororata (A20) on 23 November 1916. On 31 August 1918, aged 24, during the battle for Mont St Quentin, France, he was killed in action. He was one of a number of men killed by the explosion of the same shell. 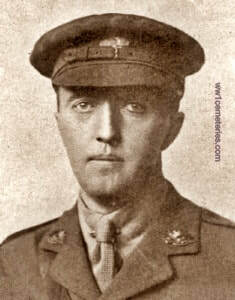 2nd September 1918, aged 35. Son of Martin and Ann Cass, and Father of Annie, Martin, Harry and Edith. Born at Young, New South Wales. 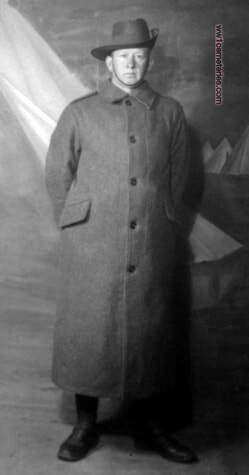 A machine expert prior to enlistment he embarked from Sydney with the 4th Reinforcements on board HMAT Port Sydney on 4 September 1916. Pte Bermingham was killed in action at Peronne on 2 September 1918, aged 35. 1st September 1918, aged 31. Son of Henry and Emily Booth, of Brighton, South Australia. 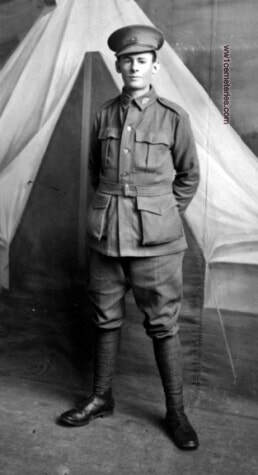 A farmer from Brighton, SA prior to enlistment, Pte Booth embarked with the 20th Reinforcements, 24th Battalion from Melbourne on HMAT Nestor on 21 November 1917. On 1 September 1918, aged 31, he was killed in action at Mont St Quentin and buried in the vicinity. His remains were later recovered and re-interred in the Peronne Communal Cemetery Extension. ​18th Bn. Australian Infantry, A. I. F.
31st August 1918, aged 23. Son of Elizabeth Annie Bray, of Fitzwilliam St., Parramatta, New South Wales, and the late Thomas Bray. A painter prior to enlisting, he embarked from Sydney aboard HMAT Nestor (A71) on 9 April 1916. His headstone bears the inscription; "In Memory Of "Wallie" Loved Son Of Mrs. Tom Bray Parramatta." 2nd September 1918, aged 19. Son of Mrs. Lucy Coley, of Brisbane St., Ipswich Rd., South Brisbane, Queensland. Born at Roma, Queensland. His headstone bears the inscription; "Greater Love Hath No Man Than This He Died That We Might Live." From Rosewood, Ipswich, Qld. 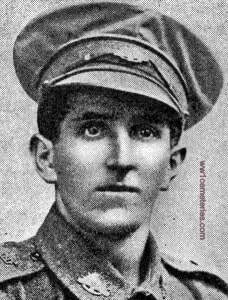 A schoolteacher prior to enlistment, Pte Coley embarked with the 18th Reinforcements from Sydney on HMAT Demosthenes on 23 December 1916. On 2 September 1918 he was killed in action at Mont St Quentin, France, aged 19. Charles Coley was shot through the stomach whilst attacking a German Machine-Gun emplacement near Mont St Quentin, he lived for a short while afterwards but died where he fell. 31st August 1918, aged 20. Son of William and Mary Eliza Daft. Born in New South Wales. A carter prior to enlisting, he embarked from Sydney aboard HMAT Nestor (A71) on 9 April 1916. He was killed in action at Mont St Quentin, France near Harly Village, on 31 August 1918, aged 20. ​Eye witness accounts of the death of Arthur Daft agree that he was "Sniped" and killed, whilst about to fire a burst from a Machine-Gun, he was originally buried with seven other men of his battalion in an old German front line dug-out. ​21st Bn. 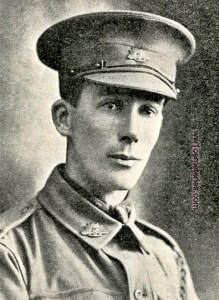 Australian Infantry, A. I. F.
1st September 1918, aged 27. 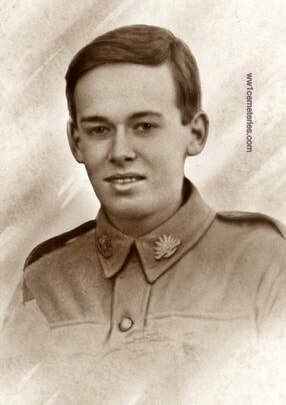 Son of William and Jane Cathcart Lamont Dickson, of 6, Grandview Grove, Armadale, Victoria, Australia. Born at Beechworth, Victoria. His headstone bears the inscription; "Dearly Loved Eldest Son Of W. And J. Dickson Melbourne, Australia." Killed in action with two other men when a shell exploded in their trench. 60th Bn. 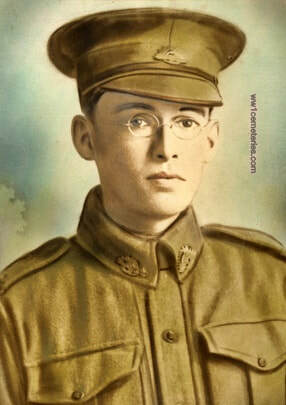 Australian Infantry, A. I. F.
2nd September 1918, aged 17. Son of Frederic William and Annie Drayton, of "Lesgeolen," Clarke Avenue, Caulfield, Victoria, Australia. His headstone bears the inscription; "Sleep On My Darling In Sweet Repose Loving Memories Like Ivy Cling." A labourer from Footscray, Victoria prior to enlistment, Pte Drayton embarked with the 9th Reinforcements, 60th Battalion from Sydney on HMAT Port Melbourne on 16 July 1917. On 2 September 1918 he was killed in action and was buried in the Peronne Communal Cemetery Extension, France. It was subsequently revealed that he had lied about his age and was aged 17 at the time of his death. His brother, 6737 Pte Leslie Athol Drayton, died of wounds on 2 October 1917 and is buried at Lijssenthoek Military Cemetery. George Drayton was killed whilst carrying rations to the front line, he had just dropped off the rations and was returning when hit by a H.E. shell and killed instantaneously. He was buried where he fell, the details of which were at the time given as; "Buried, isolated grave behind ruined house, about half a mile W of Peronne." ​25th Bn. Australian Infantry, A. I. F.
2nd September 1918, aged 25. Son of Joseph and Henrietta Gawith. Born at Kissing Point, Greenmount, Queensland. Pte Gawith embarked with the 19th Reinforcements from Sydney on HMAT Wiltshire on 7 February 1917. 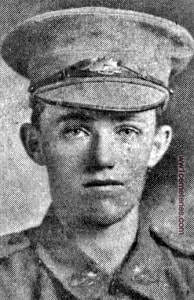 Whilst serving in France he was wounded in action by Machine-Gun bullets and, on 2 September 1918, aged 25, he succumbed to his wounds and was buried in an isolated shell hole just east of Mont St Quentin. His remains were later recovered and re-interred in the Peronne Communal Cemetery Extension, France. Son of David Halliday Gladstone and Lothi Gladstone, of "Mona," The Corso, Mentone, Victoria. His headstone bears the inscription; "Upright, Brave, Unselfish"
Ernest was a Lewis Gunner and was shot through the forehead and killed instantly by a sniper whilst in the trenches at Peronne. 12th (West Somerset Yeomanry) Bn. Somerset Light Infantry. 2nd September 1918, aged 27. Son of Edward and Catherine Holden, of "Gainsborough," Ribbleton Avenue, Preston. His headstone bears the inscription; "Requiescat In Pace." Son of the late William Husband and of Barbara Husband, of 78, North St., St. Andrews. Fife. 1st September 1918, aged 24. Son of Joshua and Margaret Anne Ismay, of Sutherland St., Lane Cove, New South Wales. Born at Petersham, New South Wales. His headstone bears the inscription; "Sometime, Sometime We'll Understand." A carpenter prior to enlisting, he embarked from Sydney aboard HMAT Euripides (A14) on 2 November 1915. He was killed in action on 1 September 1918 in France. ​"Whilst holding the line at about 5 p.m. on September 1st, 1918, he was killed by the concussion of a shell, there were no wounds externally. I helped to carry his body in and bury it, just as the day was closing"
​24th Bn. 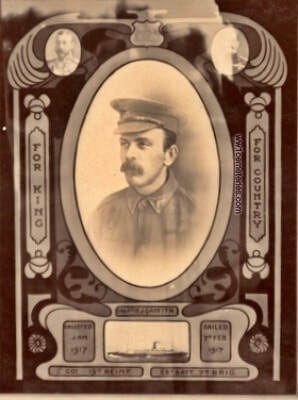 Australian Infantry, A. I. F.
Son of James and Sophia Jolly, of 112, Raglan St., Ballarat, Victoria, Australia. 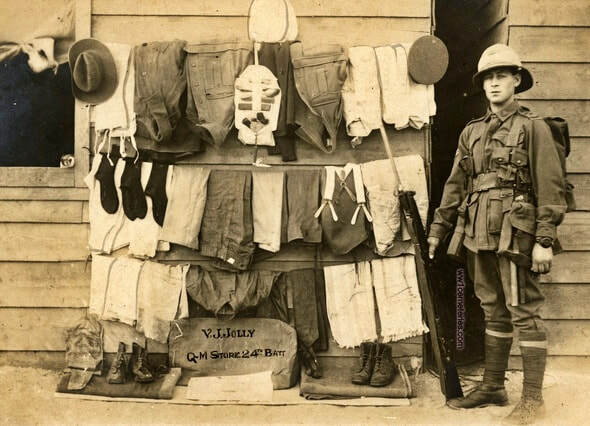 An ironmonger from Ballarat, Victoria prior to enlistment A/Cpl Jolly embarked with the rank of Private with A Company from Melbourne on HMAT Euripides on 10 May 1915. 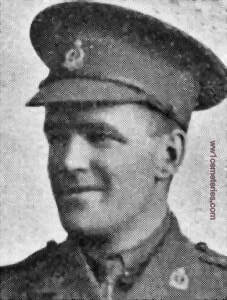 Later serving at Gallipoli he was promoted to Corporal. 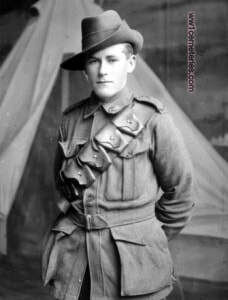 Subsequently transferring to the Anzac Provost Corps he was promoted to Company Quartermaster Sergeant (CQMS). Later transferring to the 66th Battalion, he then rejoined the 24th Battalion. On 31 August 1918, aged 24, he was killed in action at Mont St Quentin and buried nearby. His remains were later exhumed and re-buried in the Peronne Communal Cemetery Extension, France. 2nd September 1918, aged 22. John Wallace Keith b. 5/6/1896 in Ladybank, Fife, Scotland was the son of Robert and Jane Wallace Keith. John was unmarried and working in the ticket office of Kirkcaldy Railway Station at the time he enlisted in the Fife & Forfar Yeomanry (the Black Watch). His first posting was to Egypt, but dysentery caused him to be shipped home to recover. 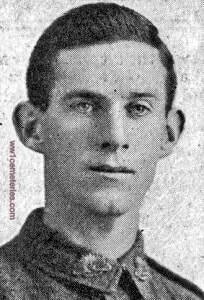 He returned to the war in France and was killed in an action in the fields around the village of Moislain, Somme on 2/9/1918. Those killed in the same action were buried in Moislains but at the end of the war re-interred at the Peronne Communal Cemetery Extension. John's name is shown on war memorials in Ladybank and Giffardtown, Fife and on the Railworkers National Memorial inside Edinburgh's Waverley Station. The Books of Remembrance at Edinburgh Castle show 'no known grave' but in 2001, thanks to the Commonwealth War Grave website, his burial site at Peronne was finally found. The next Spring our family, including his nephew Robert, travelled to France to honour him, placing a Saltire and British Legion cross on the grave. The cemetery at Peronne is quiet and beautifully maintained - more a tranquil garden than a 'foreign field'. Picture and text courtesy of A Wade.